James Garfield document signed as President, appointing James Matson as Postmaster in Sparta, Illinois. 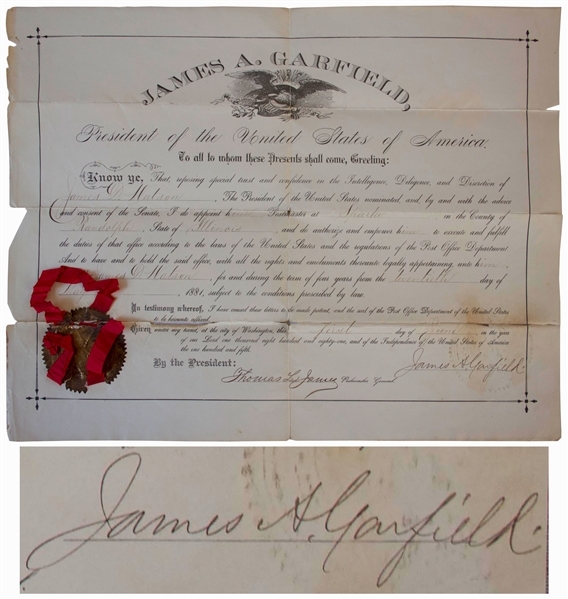 Elegantly signed at lower right, ''James A. Garfield'' on 1 June 1881. 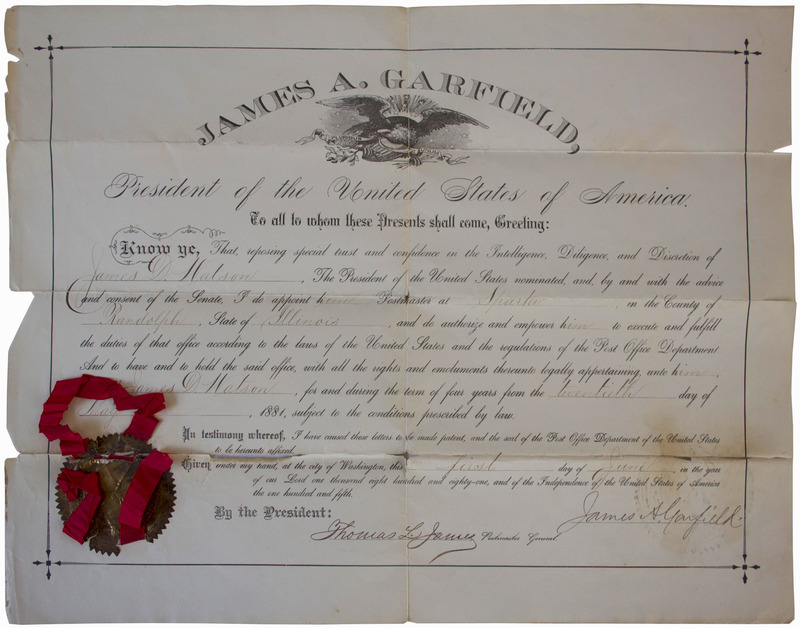 Garfield is one of the rarest Presidential signatures as he was only in office six months before an assassin's bullet took his life. Document measures 17'' x 14'' with striking bronze seal with red ribbon attached. Separation starting along folds and chipping to left edge. Some shadowing of seal on signature. Overall in very good condition.